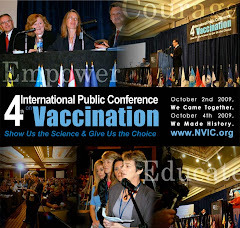 Following is a referenced excerpt from a keynote presentation given by Barbara Loe Fisher at the 2014 U.S. Health Freedom Congress in Minneapolis, Minnesota. Not the kind of infectious diseases the justices of the 1905 U.S. Supreme Court probably had in mind when they issued their ruling in Jacobsen v. Massachusetts. 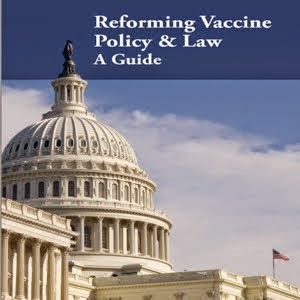 109 In that precedent setting split decision, the high court majority ruled that state legislatures could use police powers to force a minority of dissenting citizens to use smallpox vaccine for what medical doctors and government officials judge to be the greater good of the majority. It is important to note that the Supreme Court ruling in Jacobsen v Massachusetts at the turn of the 20th century was clearly based on a utilitarian rationale that a minority of citizens opposing vaccination should be forced to get vaccinated in service to the majority. Jacobsen v Massachusetts Used to Embrace Eugenics in U.S.
Prophetically, in 1927, U.S. Supreme Court Justice Oliver Wendall Holmes invoked the Jacobsen v. Massachusetts “greater good” utilitarian decision to justify using the heel of the boot of the State to force the sterilization of a young Virginia woman, Carrie Buck, who doctors and social workers incorrectly judged to be mentally retarded like they said her mother was. 123 In a chilling statement endorsing eugenics, 124 Holmes revealed the morally corrupt core of utilitarianism that still props up mandatory vaccination laws in the U.S. Pointing to the Jacobsen vs. Massachusetts decision, Holmes declared that the state of Virginia could force Carrie Buck to be sterilized to protect society from mentally retarded people.